Bournemouth, with miles of pristine beaches and sparkling sea, has really stepped up in recent years to become a vibrant and cosmopolitan town. 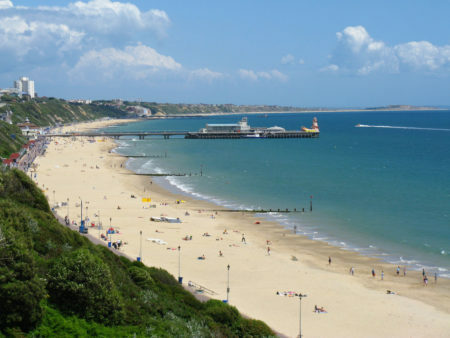 With great shopping, restaurants and a reputation for being one of the UKa��s best holiday destinations, Bournemouth has it all – a buzzing nightlife if you want it but also endless countryside if walking and hiking is more your thing. To mention nothing of the wide range of water sports available all along the sandy shores. Now drawing more investment and attention Bournemouth has long been the original home of English language tuition with the first English language school in the UK being established in Bournemouth in 1948. Cactus Language feels that now is the perfect time to open up language learning opportunities to the people of Bournemouth by offering Spanish, French, German, Italian and Portuguese evening courses in the centre of the town. Adding to our many locations across the UK there is a high demand from both employers, employees and job seekers in Bournemouth to increase and improve their language skills a�� and this what our evening language courses offer. Cactus is offering Spanish, French, German, Italian and Portuguese in Bournemouth at Beginner, Elementary and Intermediate levels. The classes run every Tuesday from 6.30pm to 8.30pm in our central location of St Peters Quarter. The courses focuse on speaking and communication and are taught by qualified and experienced teachers who are native or bilingual speakers. Our language course questions page will answer any questions you may have and you can check your level with our free online level test. For more information on any of our courses please call us on 01273 830 960 or email us. Our multilingual team will be happy to answer any questions you may have. Alternatively you can book directly online.